The story of Hof has deep roots at Blind Enthusiasm, or as deep as they can be since we’ve only been brewing a short time. We built and operated a pilot brewery in Fall 2016, and to calibrate the system we brewed our very first beer, a light and simple ale that we called Hof. We tended use whatever ingredients we had on hand to make Hof. We made two batches of Hof on our pilot, numbered 1.0 and 2.0 – you can read about our naming scheme here. 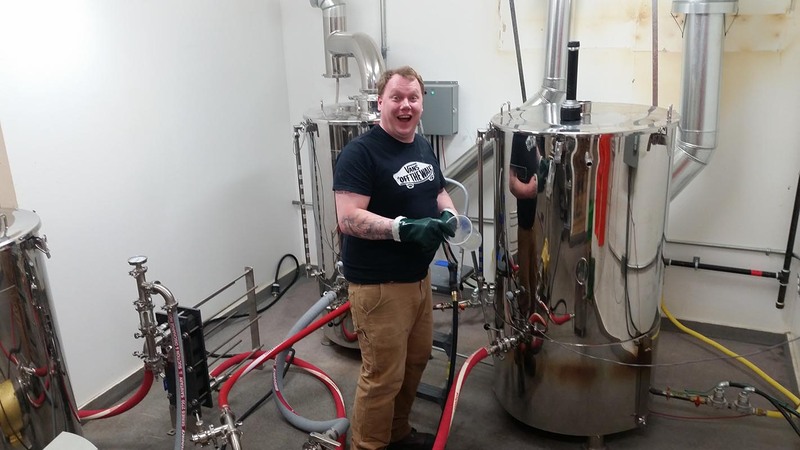 Rob Monk brewing on our original pilot system. We packaged up Hof 1.0 and 2.0 in our Pre-Release growler bottles and shared them with a select group of folks. In general people liked the beer, though we didn’t feel it was really going to be a standard part of our stable. One of the key defining characteristics of Hof was that we had a very simple malt bill (light base malts only), and a combination of American hops. We started playing around with dry-hopping with Hof and have continued both delicately and sometimes aggressively dry hopping almost all of our beers. When we moved into our full-sized brewery in the Ritchie Market (after retiring our pilot until we set it up again in The Monolith) we of course started our brewing program with another version of Hof, now 3.0. In the tradition of Hof, we used a variety of different light malts in a bit of a grab bag beer. For 3.0 we decided to ferment it as a lager but still use American hops to round-out the beer. It was a true calibration beer in every sense: our first brew on the new system, our first trial run on our Hop Gun, and our first beer moved up to a serving tank. And it turned out surprisingly well! 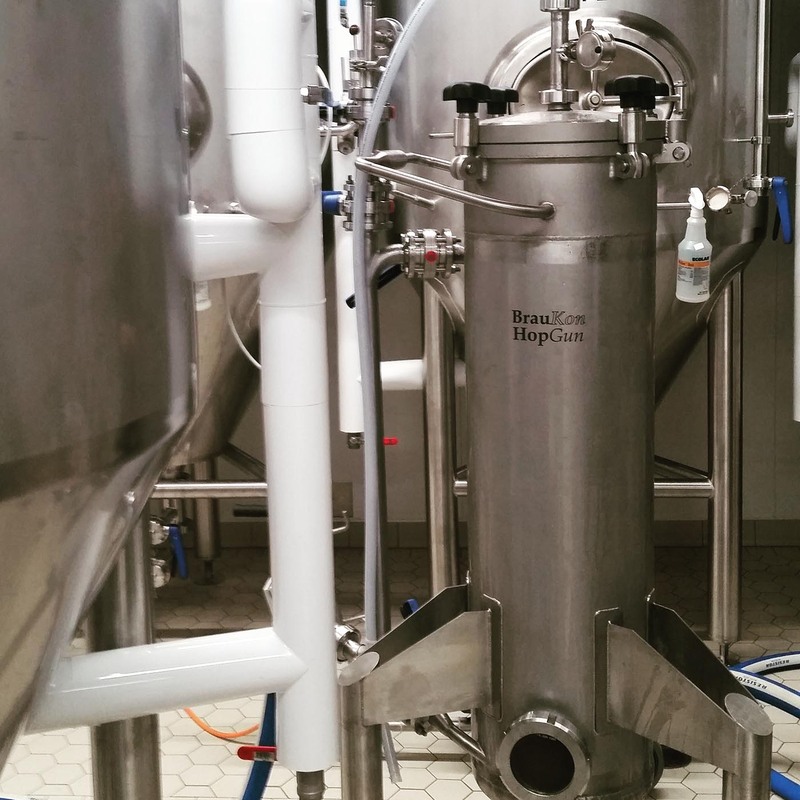 The Hop Gun in action! We were really torn with Hof 3.0 as it was nearly good enough to serve. We moved it up into one of our serving tanks, did some important tasting research but ultimately decided not to serve it to the public and destroyed the beer. It’s always a little sad dumping a beer, but that was always the intent with Hof 3.0 so we were ok letting it go. Since Hof 3.0 got so close to our quality standard we decided to make a real version of Hof, now 4.0, to serve to the public. 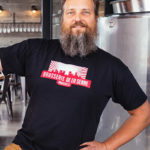 We stuck with the general philosophy of the beer and used only a single undermodified Czech Pilsner malt in combination with American hops and German lager yeast to brew what we consider to be a modern lager. As you’ve probably learned we’re not bound or constricted by beer styles, and instead brew beers that push boundaries and combine ingredients in unconventional ways. In our view, modern lagers tend to be heavily dry-hopped and use their clean, crisp character to showcase both the malt and hops rather than to mute flavor. 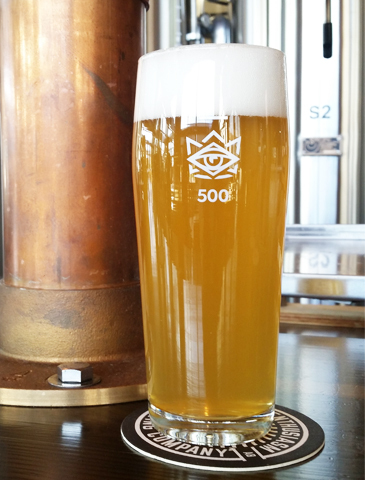 After a lengthy fermentation and cold conditioning (lagering) period Hof 4.0 was born, and we were very happy with the result. The Czech malt gives Hof 4.0 a rich, bready aroma, but it finishes ultra-clean. The American hops give it some initial floral notes, and a finish with lemon zest notes. Finally, after four totally different versions Hof was served to the public in October 2017! Enjoyed this article? Give it a share! Have a question? Drop us a line, and we’ll get back to you! Love beer? Enter your email to sign up for the Blind Enthusiasm Newsletter.